Returns can be costly, messy, and downright depressing BUT making them easier for your shoppers will actually grow your business. Over 30% of online purchases are returned and over two-thirds of shoppers will read a returns policy online before committing to a purchase. So, why is it still so hard for retailers to get it right? Learn from two industry leaders (Dean Jones, co-founder of Glam Corner and Leonie McCarthy, director of 6R Retail) as they speak to the business challenges in meeting shopper expectations, and how to implement a simple and effective returns process. What follows is a transcript of the webinar. If you’re short on time, read on for five key takeaways. Challenges in Practice: Knowing and address the numerous challenges will be critical. Key challenges include system interoperability, payment platform integrations for refunds and credits, processing physical product and keeping the dialogue open during the process. 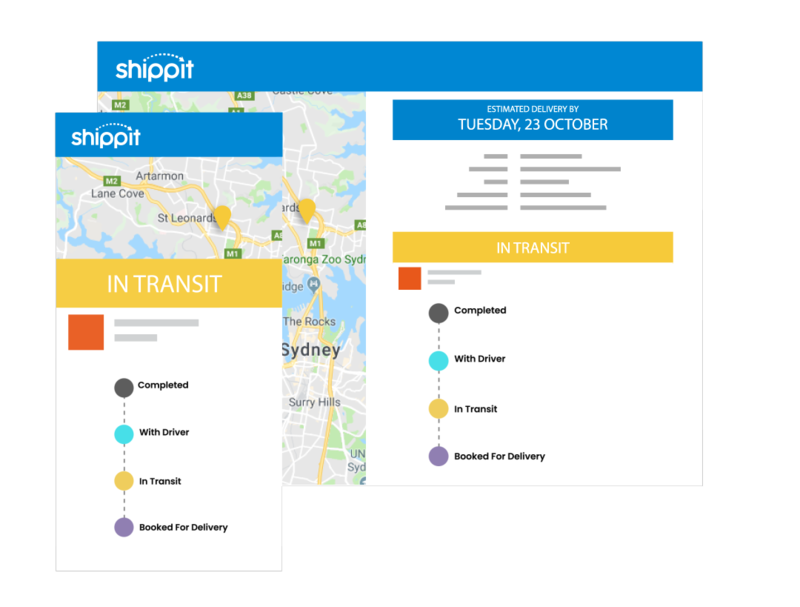 The Simple, No-Punish Returns Process: Customers want options – it’s about how do you give that customer options of convenience the same way you would in the delivery space. Simplifying returns is about providing a label, instant refunds, free returns and an easy- to-follow process. Recovering Lost Profit: As a retailer, returns will cost you money. Tactics for cost recovery include getting customers to meet halfway, tracking reasons for return, precision in cost accounting and sharing costs across delivery and returns. Rob Hango-Zada (RHZ): Welcome everybody, I hope you got a live stream. We’ll try and make this move quite smoothly and hopefully find this insightful and productive as we have in pulling it together. So, we’ll crack on to like getting started. So, look today I guess you joined us to learn about returns, returns are the last battlefront when it comes to you know building an online business, in fact, any business returns is a critical component that affects the customer experience. So today what we’re going to learn about is I guess how important returns policy is really are in growing your business. What shoppers expect and what best practice can kind of look like in the returns process and how to make your returns process as simple and as efficient as possible. Only given the brains and experience that we have around the table today, you can learn a lot. So, let’s get into it. We’ve separated this into four key modules, so I’ll be talking you through the first two modules. The first one is really about underscoring the importance of returns and trying some key stats. The second is how you can meet shopper expectations but what business challenges could lie in between that. To talk about the evolving need to shop us in that space. And then we’ll move into learning directly from two lovely people who joined me today. So, Glam Corner and 6R. So, you know it’s going to be quite a mass session. So, you can feel free to ask any of your questions anytime by typing them into the box as Teresa have instructed. We’re going to throw those questions during that time if we need to otherwise there’s a space dedicated for Q&A variant. RHZ: So, let’s talk a little bit about the importance of the returns and the returns process in general. Two key stats that really underscore where we are at in terms of online retail specifically. So, we’ve entered an era of what we called retention-based retailer. To think about you know the past sort of decade, internet retailing is really about making your first purchase online. The scary thing then was really about entering your credit card details, parting with personal information, privacy and the like. Now we’ve got credit cards linked to all sorts of that and God knows how many businesses know my credit card details. It gets every time my credit card number changes, I’m in the painful process of updating our security. Now, we’re into this era of retention-based retail. So, people have bought once, twice, now it’s about the umpteenth purchase that they’re making online. And returns is that critical point which happens post the purchase. So, we’re looking at how you drive repurchase intent is a real critical step to get your head around. So, one thing that we found is that repurchase intent due to an easy returns process is as high as 92%. So, when a customer experiences a positive returns experience, they’re 92% likely to repeat the purchase because the risk of purchasing from you as unknown, really reduces and diminishes quite a bit. The second piece comes from a study which tracks two retails over a four-year period. And what they found is, those retailers that offered free returns soared an average increase in spend from the customers that kept returning of around 357% as of those to control. So, as you think about the longevity of the client base that you have and what returns can do, it’s really quite an important statistic. No doubt this study was a little bit dated but it does go to show you that over a longer time period, returns is so critical in fostering that ongoing rush to the customer if it wasn’t so hard to build. You know, this is not a new set of stats. This comes from a study that comes from another but really anywhere you look when it comes to improving the experience for our shoppers and what we get online shoppers to buy more, free shipping is always been number one and that’s kind of the holy grail of the, or you know the much-rated factor of whatever online retail has to deal with especially in light of Amazon’s entry. You know behind free shipping is a returns process. So, the second thing that drives purchase intent here is an easy returns process. And that’s more important than fast shipping, more important than delivery tracking, and more important than better customer service or experience. So really if you’re going to solve anything beyond free shipping, it’s returns. The key fact is, getting returns wrong can really hurt your business. So, we know what the positive side of is about driving a simpler returns process who exist but the negatives are actually quite clear. So, 49% will not purchase due to a poor returns policy. This is your conversion. Your cart abandonment. This is what impacts your cart abandonment right. So, we know there’s a very high percentage of customers who actually review your returns policy before making a purchase. You know one in two will basically not purchase due to a poor returns policy. And if they’ve had a bad returns experience, like many of us had probably had ourselves, 95% of those customers will claim never to buy again with that particular retailer. So, it’s such an important point to really understand and get it well. RHZ: This moves us on to the second module which is really about understanding shopper expectations versus our business realities So, few returns is great but how the hell do you offer it? Enabling customers to keep sending items back as great to the customers but what about our business. Meet your millennial shopper. She’ll return one in three of her purchases this year intentionally. The statistics are quite high about her intent. I think they have the highest intent of any group when it comes to buying online with a hopeful return. How we call a wardrobe in or a virtual dressing room really. ASOS has embraced that fact, as many other retailers like The Iconic have gone on to do. The reasons why returns happen are quite disparate, but if you think about it and you really break it down, and you probably found this in your own business as well, the majority of the issue comes down to changes in mind. Typically, retailers offer an exchange only policy for change of mind, not necessarily a refund. But you know we won’t get into the debt. So refund versus exchange policies but we will talk about is, you know 37% of the consumers will return a product because it didn’t fit well or they didn’t actually like the product. So, you got to think an online store as the ability to extend beyond that virtual storefront to become a physical store front in that sense. Like an interactive fabric. They can put that on, they can assess the fit which I think my friend Dean will talk to in a little bit. Really understand how you how you can get a sense of the product without, you know without having to commit to it. Second is ordered duplicates is the second highest reason when it comes to a consumer reason. And you know that basically means they’re buying multiple sizes to hedge against that delayed delivery. So, we’ve all probably done it before two pairs of jeans, two pairs of shoes, two dresses for the weekend, because time is everything. And you return the second one when the time comes when it’s the most convenient to do. So, post purchase is also quite important to understand. So, post purchase consumers are not content with what they’ve ordered then they’ve ordered off multiple websites at the same time. So again, hedge their bets because you probably didn’t have what they needed. So, finding a better alternative also comes into play as well as an unwanted gift. An interesting statistic from this one to me was that 25% or one and four returns are due to a retailer or a supplier fault. So, retailer error things like pick and pack issues. So, maybe the wrong hands went into the satchel or box, or you know the wrong colour, size, grade, whatever. Damaged and quality issues also come into play as well. So, you’ve got a different type of mindset to deal with. So, what I want everybody to kind of think through is what are the implications if some people change their mind and how urgent they need to return the item. This is somebody who has ordered, who has hoped to get what they want then have actually resulted in a damaged product. How quickly can you resolve that issue? KPMG came out with a saying you know that really underscores this “delivery is the new dressing room concept” where you know customers deliberately over order in order to intentionally return the product. And so, if you look at the stats, almost a 5th of all online purchases now in fashion include duplicates. That’s quite low and as a millennial consumer becomes the biggest spender online and we honestly see they start to rise. So how do we embrace this reality and how do we make that cost work harder for us as well. So as a retailer, returns are going to cost you money. And looking at all the data, reverse logistics basically contributes around 15% of your total revenue. So, the cost at the moment is around 15% of your total revenue. That’s nothing to sneeze at, but if you know if you really did a strong attribution and look at the unit of economics on your whole delivery and fulfilment piece, along with your reverse logistics, you actually see that it’s not the majority of the cost, it’s typically a hesitation that offering free returns or offering a greater transfer is going to drive up that reverse logistics cost dramatically, but as you’ll find the benefits far outweigh the negatives. And that’s the perspective that we’ll hear today. But it is, it is important to know that cost of reverse logistics can be quite substantial. Those are some other things to think through as well. So, as you consider the returns process, shipping is only one very small component of the entire end-to-end spectrum when it comes to returns. So, in fact, if you really add it all up we can start to add up dramatically and it really makes sense to pay attention to what the options are once a return is in your network and what you actually do with it – how efficiently you process those returns. Dean’s got some great prospective about processing returns efficiently giving the blanks that they’re seeing and a 100% their items needed to be returned at Glam Corner. So, you know listen for what he’ll say to that particular process. That stats as they say, that you know on average they’re looking at 5-7 dollars to return an item that comes the shipping, receiving and processing orders or returns rather, cost up to 5 dollars and that includes you know transaction fees when you’re refunding the customer, the time it takes you to process and authorise, and the time it takes you to actually receive the item, and actually do something completely different with it that you usually would do when you receive new stock. So, moving on to the third piece of cost element there which is around what we actually do with the good once you receive it in. Studies indicate that the recovery cost is around 20cents per every retail dollar that the item is worth. So, if we sold it for 10 dollars, it’ll only be worth 2 dollars due in service strat value. And that’s due to you know the need to discount and receive the item too late, it’s no longer at the right season, or the need to dispose of the item if it’s damaged faulty and trying to recoup the cost of that in the supplier. So, that’s the final interesting part of returns and the back-end engine which I s really important to get right as well. But knowing your options is critically important, so there are great liquidator options as well as in terms of turning returned products into a second market, and that could be a great revenue driver for our business which economically makes more sense than driving sales up on the website and impacting brand value as well. But one of the underlying hidden costs is really fraud, so being clear on you know what is general return and what is a fraudulent return is quite important. I guess we see this across a lot of different channels particularly in the offline space right into purchasing to one retailer and turn to another. And we say they account for 3.5% of all returns. So, you know for a total market perspective that’s quite a significant amount of money that as it goes out on fraudulent returns. We did talk quite a bit about an easy returns process. Let’s actually put some numbers and let’s actually put some fact behind what an easy returns process looks like. Customers want two key things. They want you to give them options and then want you to make it really simple. When it comes to options, you know return options, I would say equally or more importantly than having delivery options on your website. So, offering same day express and standard delivery should be likened to offering multiple return avenues for the customer. There’s a business in the states called Return Happy and the slogan is “Friends don’t let friends go to the post office.” So, you know forcing your customer who has bought through you as a retail experience you know to go into an out of the way place to return an item is really old-world thinking. So, new world thinking is how do you give that customer options of convenience the same way you would in the delivery space. So, 40% of customers would expect to drop-off to the post office still has a role if they go there themselves. The courier pick-up is also becoming a more attractive option given the technology that we have to get and coordinate pick-up processes as well. That’s quite an important chapter to offer if you don’t so already. Drop-off and pick-up points as well. So, the likes of Parcel Point do quite well in space which gives the customer a physical retail point for a pure play retail which they otherwise couldn’t have and finally drop-off to the retail store. There you have many stories about this I imagine, but one of the key challenges when we talk to retailers is well online and offline do tend to compete. So, when a purchase is made online but returned in store not only are you taking time away from selling to customers in store which may cut their budgets but you’re also getting them to process in store which can generate sale. So, how do you really think that through as an interim process for business is really critical and that’s something Leonie’s got to share insight on shortly. In terms of making things simple, the first and foremost thing is about getting a label quickly and easily. You know, if I could see a hand raising at how many do you actually own a printer or have a printer in your own home. Most consumers these days actually don’t have a printer in their own home. So, if you’re expecting them to print out a return label, this may be a charge. So, what options does a customer have to generate return label if they don’t have a printer? Second piece is around an instant refund. So, if you’ve never returned anything, you’ve gone through a process of logging into your bank account every day, checking to see whether that refund is given. So, customers are really expecting the moment that item has left them, and what’s is on their mind as to when they’re gonna receive their money back. Because that’s a dead money to the customer. So, it’s really important to process those really quickly. Free returns, so 51% of all customers expect returns to be free. So, you can’t charge customers for return, that’s something they don’t necessarily want to do. So, it may impact your chances there, but it is third on the list. So, knowing the first two is probably a little bit more important before you get into the big main one. And the final bit there is an easy to follow process. So, do you have multiple sales channels? Do you have multiple avenues from which the customers build or start the return process? Are those channels aligned? Is the process they follow really simple? So they have to fill out millions of fields of information in order to create or generate a return label. Often times the data is already in your system given the customers purchased before so why make it harder for them to generate the return. First, the things just to keep in mind as we’re keeping to our next module what we learn from those there at the front line in dealing with returns processes. So, we’re swiftly on to learning from both Glam Corner and Leonie from 6R. Dean, take it away! DJ: Thanks, Rob. As you said, returns is a really huge focus for us. For anyone in the audience who hasn’t come across Glam Corner yet, we’re Australia’s leading online designer fashion rental business. We particularly rent out a lot of dresses to women around the country for those one-off occasions throughout the year where it doesn’t make sense to buy something outright. We’re a pure play online retailer so we ship it straight to them and as Rob alluded to, everything comes with a pre-loaded prepaid returns section so as soon as customers are done, they can simply just place their item in the returns section and put it in the post box and it comes back. So that’s the underlying model. So returns, solving that and all the problems that are associated with that from user experience right through to the logistical challenges has been fundamental to our success. If you cannot get that right, actually you kind of can’t do rental at scale. So we’ve learned a lot and we’ve actually taken leads from a lot of other best practice online retailers who just offer a fair and excellent returns and refund policy because in the end that’s all customers really want is to be happy. RHZ: Thank you, Dean. Leonie? LM: Well, our experience really around returns is mainly when we’re working with clients, with retailers. So as you said before we work with designers to implement and improve their systems and usually that’s business systems that are talking to one another. So often that’s sitting between the online experience and the in-store experience and making sure that those things align. And one of the things that you alluded to before about the whole reporting of returns and how you balance that sales equation you really need to be able to trace the transaction from actual to origin to be able to return an item when it gets stored. That’s the whole point. So, if you process something in store that needs to be returned, I guess you’re all in store so it needs taking into a place of not being reluctant to do the return and I think that the other element that you sort of need when you’re connecting those two pieces is really that element of being able to see the return as an opportunity to convert the customer. You can see the customer walks back into store having bought something online when something hasn’t worked for them like you were saying before. It’s not that right or wasn’t exactly what they thought it was going to be because they can’t get to see it and touch it. Even though your stats support that everyone wants to go back into store, I think the more retailers can focus on getting their customer to go into store. I think that’s really beyond duty, to use to think to try and convert the sale or create a positive experience so that at least whereas the customer have definitely gone back to them that’s so important. RHZ: Absolutely. And I think the system interoperability piece which we’ll come to in a moment is going to be critically important. RHZ: Now, preparing for that is quite challenging but it can be done. So, I guess it moves us to the fourth question which is you know what are the keys to easy returns, I guess. What are those key elements that make returns really easy? So, let’s talk about it in practice. LM: Like we spoke about earlier that consistency across channels. So, I mean Retailers talk channels. Customers just see a brand. They don’t see a channel. The consistency and then also the simplicity of a returns process. We don’t really want to go through a whole heap of caveats and dozens of hoops. You won’t be able to clearly say to the customers you’ve got 30 days or you’ve got 60 days or you’ve got a reasonable amount of time. Of course, manufacturing faults will have a different process of being that when retailers are talking or thinking through returns policy, you definitely need to consider what urgent level of responsiveness to factor in. Disappointment by you know damaged or manufacturing faults in terms of being able to exchange items when someone changes their mind requires little bit probably owning a little bit. Whereas when you have experience of having been promised something and it didn’t arrive as expected then that’s a disappointment even when you try and solve it best you can. RHZ: Yeah, I think that’s a really interesting point because when the customer can own some little responsibility they’re going to be a more lenient to the process. So, maybe it’s going to expose your returns process that really is how you deal with faulty goods or damaged goods or incorrect items. So, when we touch on the consistency of the returns policy at different touch points, but I guess you know if we can kind of summarise them, it would be online – it would be what’s the state of accounts are? LM: That’s also about training staff. Dean, you wouldn’t have this problem because you’re consistently communicating directly with the customer. But, I think other retailers when you’re talking about store network you’ve got also that consistency of training and the consistency of the message that start by delivering in the store. And, you know if your returns policy is too complicated, staff can easily get confused. And for them, it’s important to be able to communicate directly to the customer when they get a different understanding. RHZ: And Dean, yes shifting back to online I guess you know making things as simple as possible so 100% your order that goes out must come back. How’d you make it really easy for them? DJ: We thought a lot about that earlier on because that was fundamental to getting it right. We put ourselves in our customer’s shoes and said, if we can first of all mail delivering something swiftly to people when they expected it to arrive and where they expected it to arrive, the next most important thing to think about is if it’s not exactly what they were looking for. How easy can they give it back to us without it being a punish? Because as you allude to Rob, you know, we see it as a retention opportunity. We can show people that even if it didn’t quite work out in the percentage of cases where a dozen which as you said is maybe about 15%. Genuine reasons too. Just didn’t fit. No problem. You want to let them know that it’s very easy and convenient for them to send it right back. For us, it was as simple as a regular return satchel already completed with some basic instruction that don’t hesitate if this doesn’t fit to send it right back to us and let our team know as soon as it arrives on one of our couriers our system knows immediately that it’s on the way back. And send the customer a notification to let them know, thanks for sending it back, we’ll be in touch soon. It’s really putting ourselves in the customer’s shoes, we did it ourselves a few times here and we tried out lots of different players. This is a couple of years ago now. To sort of find those paving points around what actually makes an easy return process. RHZ: I think Dean, it’s such a great point the no punish sort of policy is quite critical. And I think trying out your own process is a really good way to do it. I think it’s called dogfooding. So, if you hadn’t dogfooded in a while and I get that in too, right? So, you can really test the pain points in the process. So, I guess if we kind of summarise now we’ve got some great, great sort of perspective here which is clear and consistent communication policy, keep it really simple, you know when it comes to you know processing or requesting return make it as easy to use as possible if it’s online. If it’s offline, simplest process is whacking a label on the package that goes out. Whack a prepaid satchel as a label in the package that goes out as well. So, you know, really pretty cool to get those right move to make the returns process simple. But, coming with that obviously, comes great challenge. So, Dean, you kind of mention you send out a prepaid return satchels to every customer you know that’s quite an investment from your behalf. What do you kind of recommend when it comes to you know really overcoming challenges? What are the biggest challenges? Which cause the biggest challenges, what are the other challenges you have? DJ: Sure, thing you’re right. It doubles the cost. So, cost is definitely number one. How do you fix that? We found if we can assure customers we will get it to them swiftly, and then it’s super easy to return it and they’ll get a full refund when they do, a lot of customers or our customers anyway, are happy to meet us halfway. So, we charge nine dollars ninety-five ($9.95) for return shipping. While delivery is free, the return is nine ninety-five ($9.95). Which is not passing on all of it. It’s a subsidised amount. Just to make sure that that’s an easy process to do and our customers are happy to pay that given the assurance that comes with it. As soon as it arrives they can send it back really easily and it’s not difficult. So, understanding what that fully loaded cost was per unit and where what was the absolute lowest we could price it at in order for that to be commercially viable, and also be a fair proposition to our customers. We did a lot of work just financially early on. So, cost was the big one. You’re right. We have the luxury that everything we’re sending out has to come back. So, we preload the satchels ready to go. But, I think you can still take a leaf in that book for any customers that at least it could perhaps be a satchel that wasn’t fully completed. But it’s still halfway there compared to hey, print all this out yourself, take it to the post office. There are probably a number of steps you could take out for the customer to not make it really difficult for them. Who has time for that? Who has time to print all that stuff out and take it to the post during business hours? I mean, a lot of people don’t have time for that. It’s not really fair to expect to put your customers through that when they genuinely just want to give it back and didn’t quite work out that time. So, I guess we’re breaking that down. What are those steps and what can you do for your customer at that time to make it a bit easier for them. RHZ: That’s a good point and Dean, I guess just going with you for a little bit longer, the processing of the physical product, I mean that’s coming in. I don’t know if you mentioned but how much you’re processing a week? DJ: It’s about a tonne. It’s over a tonne a week of satchels coming back in our warehouse now which is you know quite a bit. In terms of cubic volume and it’s going up. In terms of the unit that’s a lot of processing to be done. We started to cap out on how can we have individuals reading the satchels, entering in each system and having them processed so we have to build the system around doing that which is based on the bar code. Rob, you especially would know this the amazing technology you guys built called “Shippit”. Barcode is pretty simple, there is a lot of devices out there that can read a basic bar code. And it marries up to a lot of software where you build it yourself. There is plugin that you can get from google sheets right through the third-party software of all types. Which can just really like quickly scan a satchel and process it. And a little kick that we put on the end there is now an automated notification email that goes out to the customer who sent it to let them know that their items safely arrived and back to us. So Leonie, I guess the equivalent of all what you’re saying about at least having the store or the person who is receiving it on the other end, trained up on what’s the message? DJ: A pre-loaded template or a script providing that’s consistent. I think we found customers really appreciate that because they care. They care if they send something back has it come back to you yet. LM: Well they want to know that it’s right and I think I get what you’re saying there that if you’re returning something to a pure play retailer and as a customer, I think the key things they want to know is if they get it and have that give me my money back yet. I think it’s kind of like that. I think that it’s one of the things you’re highlighting there is that also those who report of communication for the flow so if you define what your points are where you need to check-in with the customer where you show them that we’re still on it. It arrived, we haven’t had financially processed it yet but I think in your situation you’re doing something slightly different to most other retailers (where they’re expecting an item when it comes in for a return). Everything in your business is coming back, once it comes back, it comes back kind of thing but I’m assuming an element of possible damage and another kind of things that you need to deal with on your end. I think that other retailers also typically look for quality issues and flaws on the other side so there’s an element of assessment usually in the back-end process. RHZ: Absolutely and I think, you know just going with that as well, I guess technology is receiving in store or you know when somebody brings in an invoice or packing slip from their online order and you can scan it in store. What about interoperability? LM: Because there are a few challenges in that area but definitely and getting the systems to talk to one another is absolutely a challenge as I’m sure that you’re probably also aware what we’re talking briefly before when I started about the integrated carriers which are the elements which exist in the returns process. You’ve got one situation with a customer which is in store that is easy in a way because you don’t have to deal with any of the carriers. Whereas that integration process and the points where you’ve got multiple carriers and multiple systems talking to one another is incredibly challenging. And so giving in-store staff access to that information you’re giving them sort of assurance around that checking that the item was intact. They need to have a decent background. You don’t want to be unfriendly about returns but you also wanna have some reasonable checks in place to make sure that customers are doing an honourable thing as well. RHZ: Yeah absolutely. Dean, have you encountered fraud in that process as well? DJ: Unfortunately, yes and I think fraud is a reality for all e-commerce. Where in fact a lot of people who sell anything online or have them get anything online. It’s a challenge and the industry is getting a lot better but the forces are getting a lot smarter too. It’s not a big enough problem that keeps me up at night but it’s there. I think the real red flag is when there’s been a fraudulent order is when it doesn’t arrive back at all. That’s when you know that’s certain that was a fraud transaction. Because I don’t think fraud will send something back. They’ll probably keep it. Yeah, so we see it, we found it comes down to knowing your customers. “KYC” anti-fraud we build a lot of systems out. 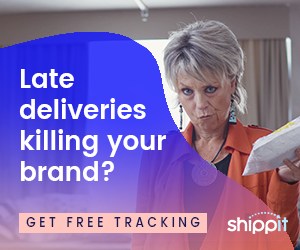 With the data we built up, where we can detect abnormal behaviour, we know when if the new customers they order a lot of stuff or some strange delivery locations. It gets red flagged by our team which is there. It’s not that we’re singling out that customer, it’s just their behaviour in terms of transactions stats look really different from the middle of the bell curve of what we see. And so those items actually get verified by a human being before they get shipped. That’s how we found the best way to combat fraud. It’s still there but you can’t do nothing about fraud online. It’s there and you just need to constantly be getting smarter at preventing it. DJ: We’ve seen it, yeah. How do you recover a lost profit? RHZ: How do you recover lost profit or profit that you lose from the returns process? LM: We talked about this earlier, one of the challenges you have you try to reduce the risk. It is going back to the source and trying to give as much information as they can about perhaps some of the things we discussed earlier in about how you know detailed people are becoming or how detailed online retail needs to be. I think the other thing that Dean has also highlighted well is that idea of meeting the customer halfway with the shipping cost. I know other retailers who will give a threshold for free shipping or will ask customers to contribute to the shipping cost for a chance to have a change of mind. Giving a couple of caveats around some of that shipping cost I think that is definitely something that we have seen in practice that seems to be acceptable to customers it sounds that you’re experiencing that thing. DJ: Absolutely, we are highly sensitive with that too. Cause we’re conscious of getting our prices down for our customers across the board wherever we can. If there’s anywhere that we can add some value for our customers then we will. We found when we introduce that extra little bit of shipping to ensure faster returns it didn’t affect conversion rate, we found a lot of our customers found it pretty fair. So, yeah I think it’s something…in reality, it’s hard to deal with. We would love to provide universal free shipping but I think in Australia, it’s a big place and moving tonnes of stuff around the country cost stuff, so I think commercially we just have to find a way to find that middle of the road in terms of pricing to make it work. Sometimes if it’s free shipping, it might be baked in the actual item you’re buying anyway so we better be upfront with our customers about the costs. RHZ: So Dean, I just wanted to touch on some point. We have a question come through which we’ll get to in a minute, thank you, Wendy. We’ll kind of talk to Dean, a question around or something Leonie brought up which is about the right descriptions online and the right fit guides, I guess Glam Corner probably not using it to you know sort of hang out or watch in on a Sunday You’re pretty much going to an event. The Logies were on the other day. I imagine and then have a couple of clients there so how do you advise on fit and how do you make that as accurate as possible as possible cause it’s so critical. DJ: Absolutely, it’s pretty high beater when it comes to size and fit for our customers so we take it really seriously. There are a few ways we’ve improved that over time, and we’ve seen the instances of refunds that are related to size and fit come down as a result. First one has been, I think Leonie’s alluding to earlier as well. It’s just more detailed description around size and fit. People like to do their homework before they place their online order so no problem. Give us as much information as possible to see if they’re gonna have success with what they bought. And then this mean provide lots of information. Make sure it’s accurate. Make sure the size and the fit information is as accurate as you can get it. So that’s what we do on that side. We have also found our customers if we give them a platform or a solid box can help us kind of crowdsource our size and fit the customer reviews. So that you can see customers just like you, not just a size 6 or a size 8 model wearing the dress, but customers just like you in any size category having success with the dress that you’re looking at. We found those things especially have really helped customer just have more certainty around size and fit. Because it matters. It’s got to fit otherwise there was no point in buying from us. The last thing we introduced which we have the luxury of doing was a backup dress. You got a backup dress to our orders of 15 dollars because we knew everything is coming back anyways. So, it’s much low cost for us to do that. But I can imagine for some retailers that would be quite hard. LM: I think the other element there is, I’ve read that some retailers are having good traction with this is that whole online chat as people are going through the fitting process online to improve their questions. Do you have live chat on your website? DJ: Absolutely. Absolutely, we have a live chat and it gets used a lot mainly for that. Obviously a customer is a high intent customer ready to order and just wants to ask that one question. They can chat, they can email. We found providing as many channels as possible for your customers to interact with you – you should do. It’s extra work on customer service, but it allows your customers to interact with you the way they prefer to. Sometimes it’s email, sometimes it’s chat, sometimes it’s Snapchat, sometimes it’s Instagram. We even just have a girl fashion phone line. Our customers can call our staff anytime during business hours and that helps. It helps in keeping reassurance or as much as possible that they’re going to have some success as happiness. LJ: I guess one other thing to quickly inform you on that I could probably add into the recovery profit piece is something I’d seen The Iconic do which is they offer customers the option of taking refund or taking a store credit and 10%. It’s they add another 10% in store credit. So, you’re kind of almost just giving customers the 10% discount in their next purchase. So, it’s a great incentive to actually have to process the refund and to be able to give customers who don’t know that they still got like, I got a store credit for a little bit more than they have. So, they’re actually going to feel like they’ve one little bit. Well, that’s another way of trying to reduce the push on, you know the online catch is, you know it’s like since they are returning customers they are a happier customer next time. RHZ: Absolutely. This last question coming from what is more just asking a lot of returns in store. Can we view this a negative for store sales, does it reduce the daily sales? Do you think systems should be able to charge them for the original location? LM: Absolutely. You got to be able to report across channels and I think the other element to add to that is we’ve had various concessions (stores) about returning and the whole collecting store and those elements too. This tension I guess between online and offline. It’s really an interesting thing because retail is a traditional set up for different stores to compete with one another. And really as the digital push growth, they have to reframe and rethink about how their stores are actually competing. So, they get a competition rather than one another. So, it’s a different way of, I think that’s something that definitely needs a bit of a briefing. Just a little bit of briefing. RHZ: So, I guess we did some really insightful things there, you know. There are a couple of tactics you can do for cost recovery. I guess one of the key points was getting customers to meet halfway. And so, I guess it’s always within reason. And what are you actually offering to the customer? So, its benefit divided by cost gives you values. So, what are you actually doing on that plan to actually get them to start paying some of those elements? You know, tracking your reasons for return is really important. So data coding, data accuracy, if you’re not tracking specific reasons as to why returns are coming back and looking actively reducing them get a plan in place and get ways to improve them. Precision in cost accounting is obviously quite important and then obviously you can start limiting windows when returns are acceptable but you can also differentiate returns based on reason as well so it’s a fault, makes it as easy as possible if it’s not at fault then you can work within the realms of reason. RHZ: So we go on to our next section, we’re gonna start with our best practice but I guess it’s not a one size fits all as you can imagine. All the retailers you’ve worked with Leonie are different in their business models and customer set. So what do you think are the tips for really putting in place the best refund or exchange program or best returns policies? LM: Well I think that treating people as though they have the best intent is the best place to start and I think that whatever this regard is, just being transparent, simple, and going back to consistency and simplicity, it really is quite a powerful driver. Dean, you were saying to let the customers choose. One of the things you do really well is that you’re putting the cost to return the items (less some shipping) – you’re putting that up front so no one’s surprised. Most people are comfortable with those of ideas when you’re more clear upfront and there are no nasty surprises. I think customers get cold swing, they have an expectation that’s one thing and the expectation isn’t that. DJ: I think that’s exactly right and not just anecdotally. We’ve got thousands of customer views on our website and there you’ll see so many people who said I really appreciated how easy it was for me to return my items. They place a lot of value on that, it’s kind of a hint that you know, they’re happy to pay a few more bucks just to make sure they have success and it’s easy and convenient to them so I think that’s exactly right. RJ: And what about advertising the intent so I’m seeing a lot of retailers kind of really advertise their returns policy I think that’s what they advertise on tv and it’s just the Best N Less day guarantee you know those types of things so what about advertising that upfront and using it in your marketing arsenal? LM: Yes, I can give you… if you are going down that path then you are putting that up front and centre, it really goes to set you apart when you’re talking about that segment of the market and another cost. The intent in that situation is really to have an open returns policy as best as we can and possible. RHZ: And I guess for retailers they have quite high seasonal sort of a hundred day window is quite extreme but if you look to the US there are quite a few retailers who are operating within a 90-day window. Obviously, that got a liquidation strategy on those items and they kind of worked economic scales to a point where they can afford to do that. LM: I think the other element of that is that most people have returned within that original 30 day in spite of the fact that it was very generous window. If you got something you didn’t expect, something that quite didn’t make your expectations, you kind of want to sort it out. RJ: So that’s one important point as well, don’t be afraid of offering generous windows because the argument stands that customers generally feel like we’re out of pocket and the main thing then is to make the money work for us so economics have suggest that we will have to return the loss soon. So Dean how do those time windows work for you? DJ: We’re a little bit of a unique case, I agree, I think it’s great that the bigger those windows can get, the better. I think the really interesting if only the industry ever saw some stats on exactly what is the window when people actually use it cause maybe one day you might see a one-year return window or two-year return window. For us, our window is basically anytime between when you place the order and when it’s supposed to arrive or before we shipped it. If you want a full refund or you want to cancel your order, you can do that free of charge and you get all your money back. There’s no reason why not because our customers are typically renting it for a specific event and we’ve asked for a particular delivery date after that point and they’ve had successfully or not they sort of, there’s no longer the same understanding with the customer that they weren’t hanging on to it for more than a hundred days or 120 days so there’s been less of a need for us to focus on that, more just focus on it’s very easy to return it because people are quite new to our concept when they discover us and that’s the natural next question. Rob: Thank you for sharing that, we’re running a bit short on time so I’ll just wrap this particular section up. Thank you, more details about us, the website, details are here, feel free to connect with us on LinkedIn, hope to speak to you soon. Thank you very much to Leonie and Dean. Would Amazon’s Prime Day Even Work in Australia?